It’s always a treat to visit exotic tropical paradises such as Bali; for a few days, you get to strip off your makeup and ditch your heels, bask in vast beaches and fiery sunsets, and come back to your home city both awed and refreshed. But for all its magic, imagine if you didn’t just stay in this place for a few restful days and instead actually moved there, away from friends, family, and everything you had lived with and believed all your life. Kind of scary, isn’t it? 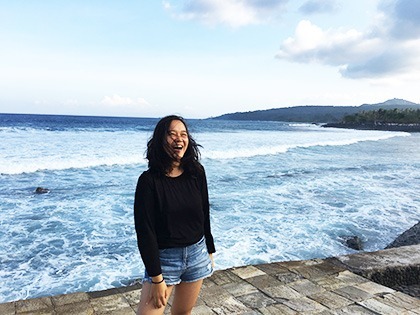 That’s exactly what Mau Villamor did at 24 years old when she got a one-way ticket to Bali to work as an early childhood teacher in the town of Ubud, Bali’s cultural and spiritual capital made famous by Eat Pray Love. 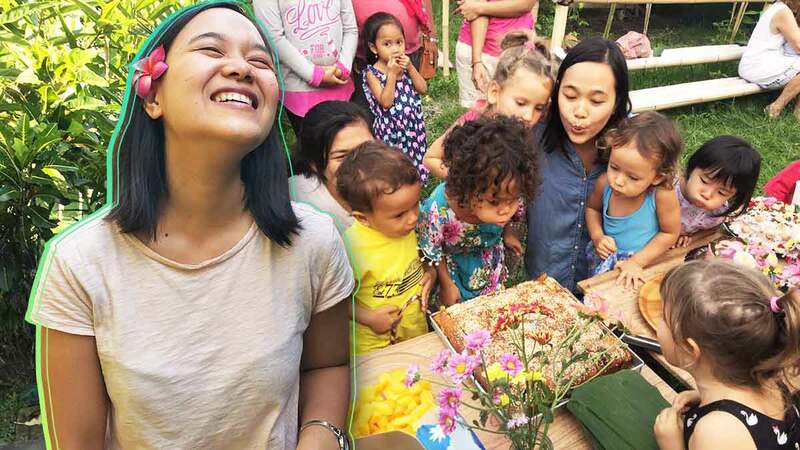 Now 25, she recounts what challenges she encountered before her move, what changes she had to make once she had arrived, and why she has emerged a whole new person since. 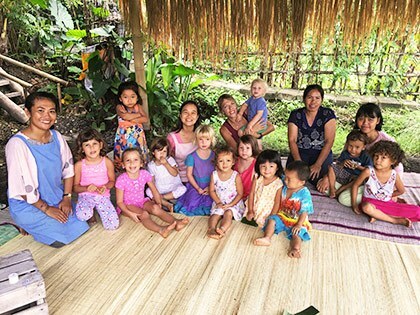 What were you doing in the Philippines before you moved to Bali to be an early childhood teacher? After graduating from university in 2013, for some time I was a full-time youth activist. Then I spent a year as a psychology instructor at a newly-opened LGU-run college in my hometown of Makilala, North Cotabato, and then joined Tuburan Institute, Inc., a Waldorf school, in Davao City as a kindergarten co-nurturer. During the year I was working at the Tuburan Institute, I took trips to some Asian countries and to Europe with my family. How did the opportunity to work in Bali come about? The travels I took that year somehow led me to the painful decision to leave my job at the Tuburan Institute, as it took me away from work for long periods. 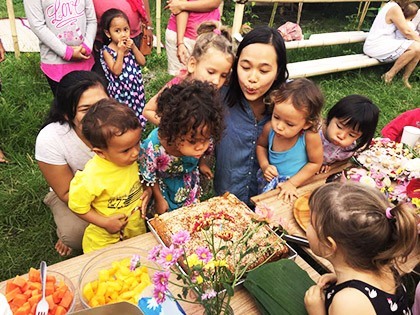 After I left the kindergarten in 2016, a friend based in Ubud, Bali whom I had met earlier when I took up an early childhood education course in Manila contacted me because she was looking for someone who could help with a playgroup initiative she and some colleagues were starting. They were a group of parents inspired by the Waldorf philosophy, and they wanted it for their own children and to share it with others who believe in its principles. What challenges did you encounter as you prepared for your move? The challenges I encountered were dealing with my family’s reaction to my decision, having an inner battle with myself as I tried to come up with a bigger vision of my future direction, and grappling with the uncertainty of what’s going to truly unfold as I move. Back then, it didn’t look like the ideal path for me; it was contrary to the conventional goal expected of me to set up a career that would bring in success and lots of money. But I do believe that when one door closes, another opens. I took the opportunity because it is consistent with the path I’m in love with: self-development for world development. What big differences did you notice in the culture and lifestyle in Bali once you had moved there? Bali life is so flowy and almost dreamy. Everyone respects rest and slowing down. It’s contrary to what I’m used to in the Philippines; I had to learn to slow down. Another, Bali is an expat refuge, with people from different countries settling here. Ubud in particular is a place where people go to learn, teach, and do yoga, a place to relax and explore a different sort of spirituality. People come here to be healed. The local people’s cultural-spiritual practices are rich and colorful. To many, it is a paradise! I needed to adjust to these, to learn the place and take advantage of its healing qualities. I help a group of parents establish and sustain a playgroup initiative that we wish to set up as a school. A normal workday consists of walking or driving my motorbike to school, cleaning the classroom, preparing food for the children, receiving the children, and going through our rhythm, which is how we refer to our daily routine. After class, I speak with my co-nurturer, speak with the parents, brainstorm with the playgroup’s parent founders, prepare songs and new stories, and read books. I consider my work almost like volunteer work. I’m given an honorarium worth between P25,000 to P30,000 monthly. What are your typical expenses, and how much are they? I spend only about P500 a week on food since I prepare and cook lunch at the school, which the group shoulders. One of my parent colleagues owns a lovely cafe, and I get to eat free healthy food there every time I want. Plus, I am usually invited by friends over to their houses for meals. For transportation, I have a motorbike lent to me by the group, and every two weeks my gas expenses would be around P100. I’m lucky that the group also takes care of my rent. I rent a three-story house with an Indonesian flatmate, and the rent is about P10,000, with my share at P5,000. I signed up for a one-on-one yoga class where I pay P600 per session—it may seem expensive, but I am happy to pay for the benefits I’m receiving. I also joined a Latin dance class, for which I paid P2,500 for 10 classes. Since your move to Bali, what changes have you noticed in yourself? One thing I’ve noticed is my stronger sense of individuality. I realized that I am my own individual, and that I do not just belong to my family, or to my country, or to the belief system that I grew up with. I became more open as a person as I was awakened to the insight that I am a citizen of the world. As I opened up to other cultures and peoples, I’ve also learned to identify and do something about my own limiting beliefs about myself and about the world in general. As a result, I’ve started to become more open and able to experience love more profoundly, such that its essence to me is not just fulfilling the self, but actually contributing something for the future of humanity. This way, my soul feels more deeply nourished. How long do you plan to stay in Bali? I plan to stay here for the next two to three years, until we are able to establish the initiative sustainably. Then I’ll go back home to take a break for a while, after which I plan to take up related studies abroad to expand in my chosen path. Hopefully by then, I’ll meet my future partner and together we’ll decide what kind of lifestyle will work for us that would serve our higher purpose. 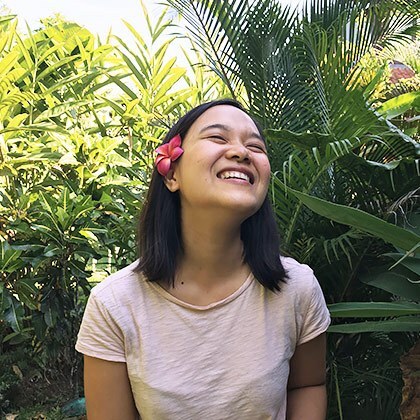 What advice do you have for Pinays who also want to take a risk by working in another country, but are afraid to do so? Pursuing something risky requires a sufficient amount of courage. When fear kicks in, just go back to your dream. Decide that it’s bigger than your fears. Then, you’ll feel a new strength arise in you. Let that take hold of you. And always remember, if something is meant for you, time will show it.